Published June 2015 by Curious Fox. Publisher’s Synopsis: Meet Jonny Jakes, undercover reporter for banned school newspaper The Woodford Word. Nothing will stop his pursuit of the truth. Not teachers. Not parents. Not double detention. When a new head teacher arrives halfway through term, Jonny smells a rat. Teachers handing out sweets? All-you-can-eat hamburgers? He’s determined to get to the bottom of it, because Jonny Jakes investigates the same way he eats his hamburgers: with relish. My Review: I haven’t read many middle grade books so far this year – so when I was emailed about this book, I jumped at the chance! 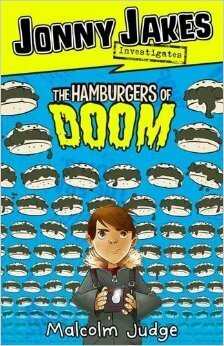 Also, if the title is THE HAMBURGERS OF DOOM, there is no way I’m missing out on reading it. I can definitely see why this first book in the Jonny Jakes Investigates series is one of Curious Fox’s leading titles of 2015. It ticks all the boxes for a brilliant children’s book, and more. From the witty illustrations of the characters, to the hilarious dialogue and fictional school setting, it was a delight to read! The story opens with an introduction to Jonny Jakes, the mastermind behind his school’s newspaper, which has been garnering a lot of attention with its many articles mocking the headmaster. When a mysterious new head teacher turns up, Jakes is determined to get the first scoop on it, but he finds out that it’s not just any old head teacher. It’s an alien, and matters are about to get a whole lot more complicated – because despite his nice personality, is this alien headmaster up to something wicked? The plot felt like a classic story, though original, and I can tell this is going to be a very popular book with younger readers. I did not expect to laugh as much as I did. The plot is a hilarious blend of Sci-Fi and school drama. The voice of Jonny Jakes is undoubtedly one of the best child narratives I’ve read in a long time. There was just something about the voice, how the diary entries by Jonny were written – it felt so realistic and I loved it! I’m confident Jonny Jakes has the potential to be one of those iconic book characters children are going to grow up loving. The dialogue was sharp-witted and I loved the relationships between all of the characters. I didn’t expect to become so attached to such brilliant characters in this book, either! Overall, I was really pleasantly surprised with The Hamburgers of Doom. A quite frankly ridiculous story about a schoolboy reporter investigating evil hamburgers and an alien headmaster… t’s a fantastically silly read that’s bound to make you giggle a little bit, no matter what your age. I enjoyed it a lot more than I anticipated. I think it’ll appeal to a lot of reluctant young readers, too. I’m really looking forward to seeing more from this series! I received a copy of The Hamburgers of Doom from the publisher, in exchange for a review. In no way at all did this affect my thoughts. This entry was posted in Uncategorized and tagged 2015 release, aliens, book review, children's fiction, contemporary, curious fox, hamburgers, humour, jonny jakes, jonny jakes investigates, journalism, middle grade fiction, reluctant readers, sci-fi on July 13, 2015 by keithbwalters. Published 9th April 2015 by Bloomsbury. Hope you enjoyed the infographic! Ivy Pocket was a really fun MG book to read and I really recommend it. 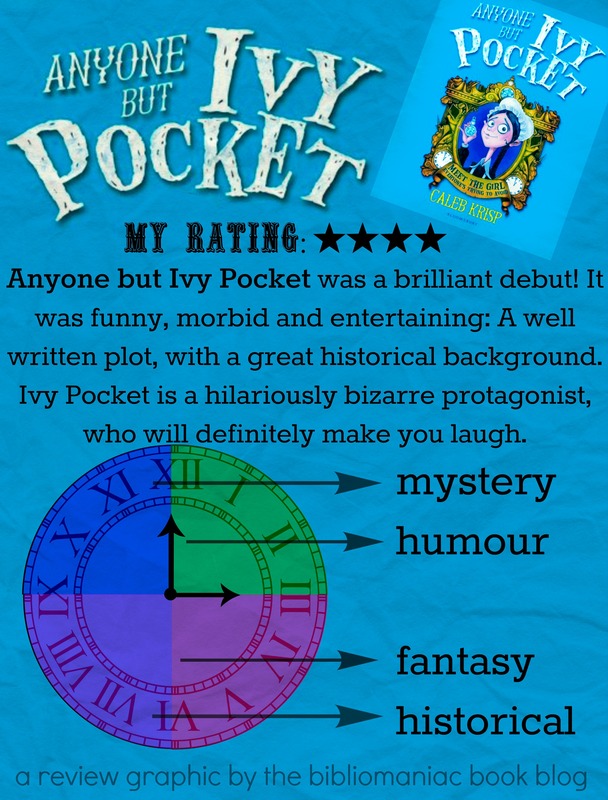 This entry was posted in Uncategorized and tagged 2015 release, anyone but ivy pocket, bloomsbury, bloomsbury books, caleb krisp, children's, clock, comedy, debut novel, fantasy, historicalc, humour, MG, myster on April 9, 2015 by keithbwalters. Published September 2nd by HarperCollins US. Goodreads Synopsis: Outside, Anika Dragomir is all lip gloss and blond hair—the third most popular girl in school. Inside, she’s a freak: a mix of dark thoughts, diabolical plots, and, if local chatter is to be believed, vampire DNA (after all, her father is Romanian). But she keeps it under wraps to maintain her social position. One step out of line and Becky Vilhauer, first most popular girl in school, will make her life hell. So when former loner Logan McDonough shows up one September hotter, smarter, and more mysterious than ever, Anika knows she can’t get involved. It would be insane to throw away her social safety for a nerd. So what if that nerd is now a black-leather-jacket-wearing dreamboat, and his loner status is clearly the result of his troubled home life? Who cares if the right girl could help him with all that, maybe even save him from it? Who needs him when Jared Kline, the bad boy every girl dreams of, is asking her on dates? Who? My Review: This caught my eye online and I was so excited about reading it! From the blurb, it sounded like a really funny but dark contemporary, a little like Looking for Alaska. It really was, though I’m really mixed about it. 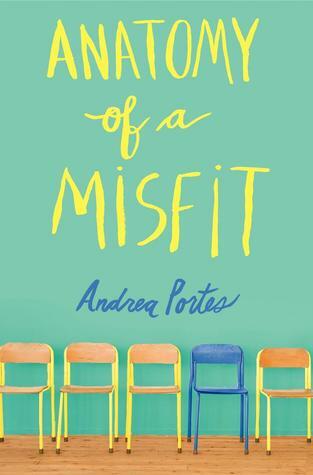 Anatomy of a Misfit is definitely going to be well loved – I think I’m in a minority of people still unsure. I liked Anika, needless to say. She’s a very relatable protagonist, and I think Andrea Portes has captured the social hierarchy competition in high schools really accurately. Anika had a greatly developed back-story that’s the reason for most of her social struggle. The way she deals with things is often really funny. The protagonist did have a good voice but I didn’t click with her like I do with other characters. The plot is enjoyable and there are so many things dealt with in it. Every event was either really funny or really hard-hitting. There were some things, though, that seemed to just be forgotten about after a while – there’s one minor character’s story that could’ve developed more especially, I think. On the back of my copy it talks about the story having a dark undercurrent flowing through the story, and lots of foreshadowing towards an unbelievable ending. That’s completely true. Every few chapters, there’s one that’s a flash forward, that’s so sinister sounding I struggled to figure out what could possibly happen! The last few chapters really do hit you like a punch to the gut. I could never have predicted it. At first I didn’t see how it was… There are hints in the plot, but because I got so confused between parts I don’t think it hit me as hard! The foreshadowing is very hard to see, but reading over bits made me kick myself a little. Portes leaves you in a bit of a daze at the ned of the story. Overall, Anatomy of a Misfit was an enjoyable novel, but one that I expected to love more than I actually did. I think the protagonist was likeable, but didn’t really completely stand out to me – though I’m sure that many other readers will love her! The plot was so memorable and I’m sure I won’t every forget that ending… There were aspects I couldn’t get on with, but I’m sure I’d read another YA title from Andrea Portes! I received a copy of Anatomy of a Misfit from the publisher, in exchange for a review. In no way at all did this affect my thoughts. This entry was posted in Uncategorized and tagged anatomy of a misfit, andrea portes, contemporary, dark, drama, high school, humor, humour, usya, YA, YA debut on October 6, 2014 by keithbwalters. Published 6th March 2014 by Hot Key Books. Goodreads Synopsis: They wanted to party like it was their last night on earth. They just might get their wish…. Evan Brighton: Baseball all-star, Teena-worshipper. Sarabeth Lewis: Straight-A student, weekend hermit, enemy of the colour pink. 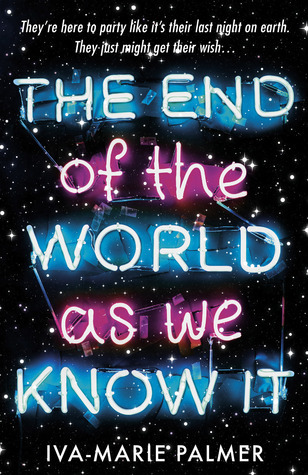 My Review: The End of the World as we Know it is a book I’m pretty mixed on! It was a good read- I love funny books and I love books about aliens, and this did have both. I was excited to start it, but from a few pages in I wasn’t sure I was really going to get into it. I don’t think I fully did… The story was pretty hilarious but I just found it a bit… I don’t know… I just didn’t click with it entirely. I think the main reason I didn’t enjoy it as much as I’d hoped was because of the characters. They’re all very well developed, and they’re classic stereotypical characters of sorts- the slightly geeky one, the goody-goody son of the local Vicar, the rebellious slacking teenage guy, the popular girl who has a bit of a bumpy history with one and hates all of the others. They meet properly by all getting locked in a basement as the apocalypse happens, which I found pretty funny. But it really started annoying me later on in the book, how they all seemed much more focused on their relationships than saving the planet. Okay, it’s meant to be a funny read… but I guess I was in a Sci-Fi mood and wanted more alien action and things! The plot was really enjoyable. It shouldn’t really be taken too seriously- it’s an epic adventure across a post-alien-invasion town and the weapons that overcome the aliens are stupidly brilliant. I liked Iva-Marie’s writing. It really drew me into the story, even when a character was annoying me a bit! Some parts are a bit silly, but it was definitely a fun read, that made me giggle quite a bit. Overall, The End of the World as we Know it wasn’t what I was expecting, but fun to follow anyway. The story is a mix of Sci-Fi horror and humour that I found really unique. I liked the development of the characters over the course of the story, but at points they did kind of annoy me… I’d recommend this to fans of contemporary comedies, definitely. I’m really mixed. There were multiple things I disliked but in all, it was a really enjoyable read. I received a copy of The End of the World as we Know it from the publisher, in exchange for a review. In no way at all did this affect my thoughts. This entry was posted in Uncategorized and tagged aliens, apocalypse, humour, love on March 24, 2014 by keithbwalters. By Holly Smale, published by Harper Collins. My Review: (This first paragraph MAY be viewed as a SPOILER. Tread carefully, if you haven’t yet read this sequel). About a year ago, I read and fell in love with Geek Girl. After seeing in the back of my copy that there was to be a sequel, I was literally crying with joy that I’d get to read about Harriet again! And Nick! And them as a couple! Yay! So, when this came in the post, I dived in, thinking Harriet And Nick Were Happy Together And Everything Was Going To Be Fine. And then, Holly Smale, you SMASHED my dreams and everything fell apart and I may have shed a tear. Holly! Why! However, it did make an epic plot twist- which made for a very beautiful ending! Speaking of the plot for this novel: flawless. I loved it so much! It was just as great a Geek Girl’s… Maybe… Better. Harriet, upset about being cast aside as the baby’s on the way, takes up a modelling shoot in Japan so she can get away for the summer. I think the change of setting made for a very different read! I also loved the setting because I’m a manga/anime nerd, so a little obsessed with Japan :). As well as the plot twist with Nick, there were lots of surprises in store- most, were hilarious. Harriet! I love you so much. Please come to the real world someday and be my friend? We can geek out over facts and watch some documentaries together. And we can do physics!! Harriet’s so much like me, and that’s a main reason I love the story so much. I have a Toby friend, and a best friend whose dream is to be a model, and I’m a geek, and she’s described to look like me (YES, Harriet! 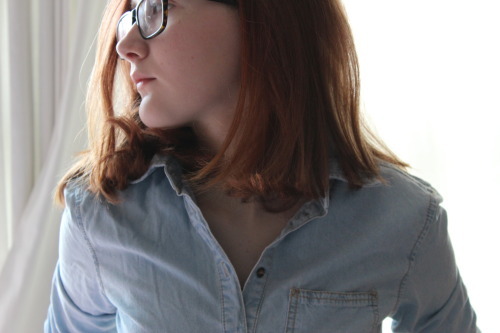 High fives for the Strawberry Blondes Who Are NOT Gingers Contrary To Popular Belief). A lot of other people have said similar things, too! Holly’s invented an unforgettable character who we’re all like in one way or another. All of the other characters are unique and brilliant. Most of them (Bar Alexa and a couple of others.) I just wanted to hug because they make me smile so much! Whilst I was reading this, even though their stories are quite different, I couldn’t help but feel that Holly Smale’s writing is in the same vein as Louise Rennison’s; another huge UK teen comedy author. Holly’s books are similar because they’re laugh-out-loud-embarrass-yourself-on-public-transport-because-you-snorted-with-laughter type books, (yes. That happened okay.) and are really feel-good reads. 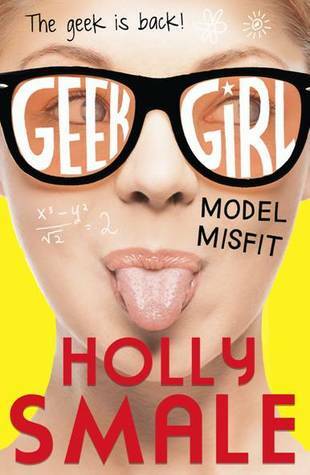 Overall, Geek Girl: Model Misfit loved up to my expectations- and more. The plot was brilliant, pretty much unpredictable, and the setting for the story was perfect. I didn’t think it was possible to love Harriet more than I did in the first book… Well, I was wrong! Go read the Geek Girl books, whoever you are. If you’re a geek, hugely or slightly, you’ll love this because you’ll relate all too much to it. If you’re a fashion lover, read it, and you’ll love it for Harriet’s funny teen career. If you’re neither, I can guarantee you’ll still love this. Geek Girl is one of the best contemporary series I’ve ever read, definitely! I received a copy of Geek Girl: Model Misfit from the publisher, in exchange for a review. In no way at all did this affect my thoughts. This entry was posted in Uncategorized and tagged comedy, contemporary fiction, family, humour, romance on October 9, 2013 by keithbwalters.